Working on catching up and would to set up a plan around purchasing some units for retirement. Hello Mr. Harris – I truly would like to do some investing in Commercial Real Estate. I am willing to play the bigger game of doing commercial investing. I would like to know what it would take for you to coach me. I do not have much money for my income was decreased due to illness in the family. I need to find something to make more income and prepare for the future. I always enjoy your videos, but was focusing on wholesaling, but these are just keeping me barely above water. Thank you for helping others. Apply to my Protege Program Here. Hi Mr. Harris. I am a 54 year old teacher who is going through a divorce after 17 years of marriage. I have little to nothing and need help. I am afraid that the rest of my life will be spent playing catch up financially (even without this divorce) and that I will never realize any dreams that I have (had.) I need help and I need the encouragement, I cannot do this alone. Who can talk to get a chance to catch up my retirement. To be mentoring me on how to find a commercial 8 unit commercial property. Thanks. I would like to get into this but I have no liquid start up money how and what can i do to start without a liquid initial investment. Yep, this is me. I need to do this. I gotta wholesale before I can pay for your mentor program. I have your “…Dummies” book but I want a hard copy of the other one. I cannot find hard or soft copy online. Is it ONLY available as an ebook? 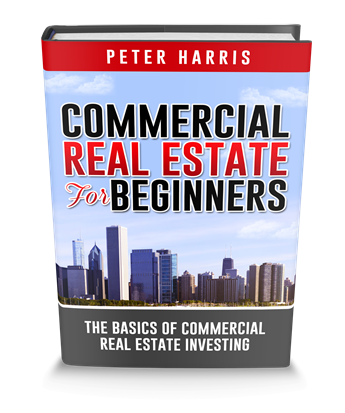 Only eBook of Commercial Real Estate for Beginners book at this point. I am “B’ and “C” really. My savings were wiped out due to family and medical bills. I’m 45, broke and in need of passive income to boost my disability. I signed up for the Udemy course so hopefully I can do a few deals to eventually apply for your mentorship. Thank you for doing this video for folks like me who have to start ovcr from zero at an age north of 40. Working on catching up on retirement as well as having to start over in life all together, pension and annuities were drastically effected in the past years and want to create a much better life for my family all together.